Szörnyű természeti katasztrófa sújtja Nepált - biztosan Te is hallottad. A New York Times egy cikkét dolgoztam fel, hogy angolul követhesd az egész világot megrázó eseményt. Miközben olvasol, átismételheted a 20+1 leggyakoribb angol prepozíciót (elöljárószót), amelyeket a megfelelő helyre kell illeszteni a szövegben. Vizsgafeladatok között gyakran találni hasonló esetet feldolgozó listeninget, readinget vagy képleírást, ezért az olvasmány végén található természeti katasztrófa szókincsnek is hasznát veheted. Megoldás a cikk végén! Íme, a felhasználandó prepozíciók. Illeszd be őket a megfelelő helyre (20+1 db)! 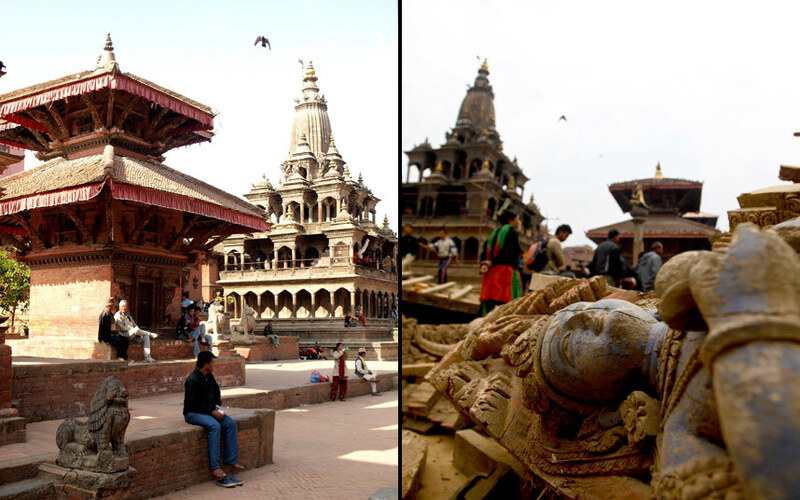 A growing sense of despair spread through Katmandu _________ (1)Sunday as the devastated Nepali capital was convulsed by aftershocks that sent residents screaming into the streets, where they were pelted by heavy rain. A day _________(2) an earthquake killed more than 6,600 people and injured __________(3) 5,900 residents grew frantic and the government, entirely overwhelmed by the enormousness of the challenge facing the country, struggled to provide relief, or much hope. Streets in parts of this city of about 1.2 million were impassable not so much from quake damage but because tents of thousands of people have taken up residence there. It was a strategy endorsed by the government. The country's prime minister, Sushil Koirala, who was attending a conference _____________(4) Indonesia when the quake struck, had rushed back __________(5) Katmandu and was to speak to his desperate countrymen in a televised address on Sunday. 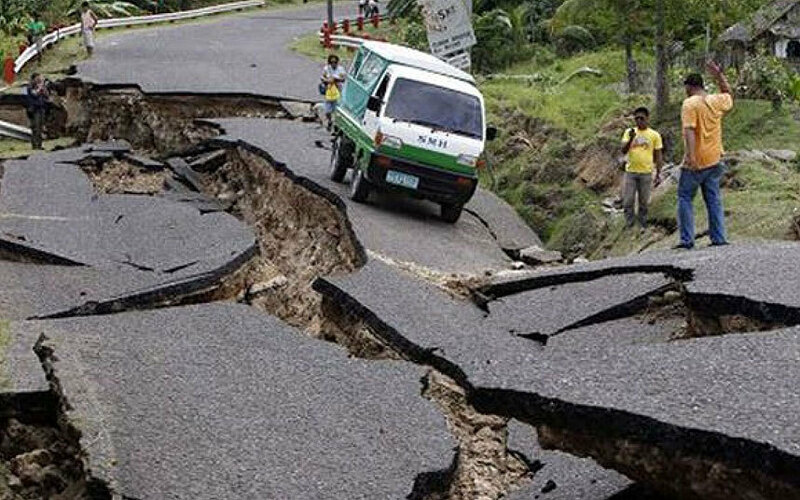 But the speech was delayed, as some relief efforts have been, by strong tremors that continue to rock the country. It is increasingly evident that authorities here were ill equipped to rescue those trapped and would have trouble maintaining adequate supplies __________(6) water, electricity and food. "In my neighbourhood, the police are conspicious by their absence," said Sridhar Khatri of the South Asia Center for Policy studies in Katmandu. "There is not even a show of force to deter vandalism, which some reports say is on the rise." On Sunday, the government began setting ____________(7) 16 relief stations across Katmandu and the rest of the country while rescue operations continued. The relief stations are expected to ease distribution of water, food and medicine, said Laxmi Prasad Dhakal, a spokesman at the Ministry of Home Affairs. Many hotels, commercial buildings and wealthy homes in the capital have their own generators. But nearly all of the country's gas and diesel supplies are brought in from India, and with traffic reduced to a crawl _________(8) major highways, those supplies could dwindle quickly. Some gas stations in Katmandu have already run dry; others are rationing their remaining supplies. 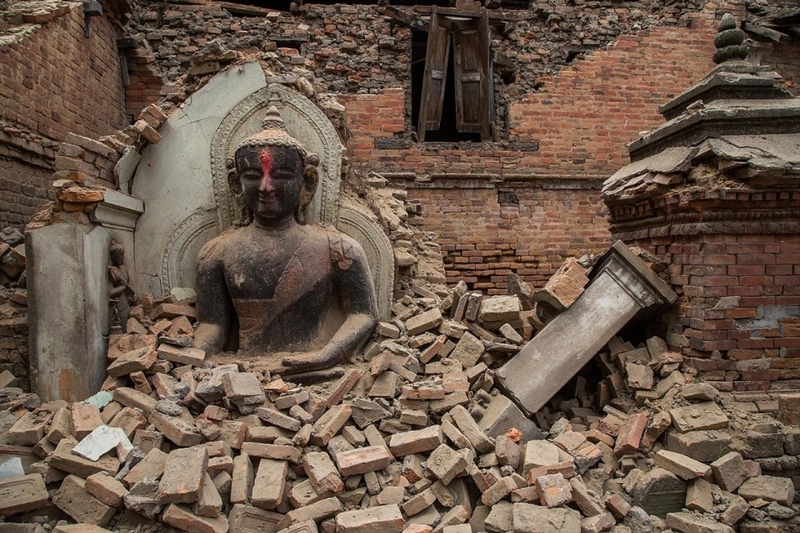 Thousands of Katmandu's residents squatted on streets throughout the city either because their homes were destroyed or continued aftershocks, including one of magnitude 6.7, left them too afraid to go back inside. Other residents were camping out in schools, school playgrounds and government offices. The goverment announced that schools would remain closed ____________(9) at least five days and it pleaded with government workers to help in local rescue efforts in place of their usual jobs. Stephen Groves, who lives in Katmandu, said he was inspecting a building for cracks when the biggest of many aftershocks hit, leading to terrified screams from those nearby. "The whole time I was thinking if the building next to me was going to come ___________(10) on top of me," Mr Groves said in an email. "People here are in panic, and every aftershock contributes to that. They are not going indoors, they are staying in the roads and in open areas. Many are searching for family members. Mr. Groves said he went to a hospital in the capital on Saturday, where hordes of people were lying on the ground outside the building, many __________(11) intravenous drips hooked up to their arms and shocked looks on their faces. Subhash Ghimire, the editor in chief of Nepalese newspaper Republica, said he managed to reach his father in his village, home to about 3,000 people near the epicenter in the Gorkha district. "He said not a single house is left in our village, including our own house," Mr. Ghimire said. On Mount Everest, helicopter rescue operation began Sunday morning to bring wounded climbers ___________(12) the mountain, where at least 18 climbers were killed and another 41 injured, making the earthquake the deadliest event in the mountain's history. Three Americans were ____________(13) those killed, according to the State Department. After posting on Twitter that he was "fairly safe but stuck" _________(14) the base camp, a climber, Jim Davidson, then provided a more alarming update from Camp 1, which is above the base camp. "Just had our biggest aftershock yet here at C1 on Everest. Smaller than original quake but glacier shook & avalanches," he wrote. "I ran __________(15)" he said in an interview. "I thought, there's no chance I can get away. I just had my socks on. It knocked me ____________(16) the rocks. I got up and it knocked me over again." he said. He was evacuated ___________(17) helicopter Sunday afternoon. He returned ____________(18) anything but the clothes he was wearing. All of his belongings were buried by the avalanche. "I'm sure there will have been many fatalities just because the scale of it," he said. Tulasi Prasad Gautam, director general of Nepal's Tourism Department, said he feared that continued aftershocks had trapped more climbers. In addition to the dead and injured, nearly 25 climbers who had been en route Saturday to Camp 2 from Camp 1 are missing. "Actually, the tents are still there for some 20 to 25 climbers who were heading __________(19) Camp 2 in the course of climbing practice, but they are not in contact", Mr Gautam said. In a blog post Sunday, Eric Simonson of International Mountain Guides said the news from the Everest base camp "was quite bleak", and tha the company's encampment "has been turned into a triage center, and our big dining tents are now being used _________(20) hospital tents." "The tons and tons of falling ice going this vertical distance created a huge aerosol avalanche and accompanying air blast," he wrote. "It is worth noting that over many expeditions we have never seen an avalanche from this area that was even remotely of this scale." Susan Parker-Burns, a spokeswoman from the United States Embassy in Nepal, said in an email Sunday that a rescue and relief team from the United States Agency for International Development was dispatched by military transport to Nepal, and they would arrive on Monday. Also Sunday, the Israeli military said that it was preparing to send Boeing 747s carrying 260 aid workers and more than 90 tons of cargo to Katmandu. About 600 Israelis are believed to be in Nepal, a popular destination for young backpackers after their compulsory military service. Magen David Adom, Israel's national emergency medical response organization, had already sent an advance team of 10 paramedics and two doctors to Nepal. Nepal will most likely require significant help. The country's existing political discord is likely to hamper rescue and rebuilding efforts. The government has been barely functional for more than a decade, with politicians of just about every stripe fighting over the scraps of the increasingly desperate economy. A 10-year civil war _________ (21) Maoist parties and the government ended in 2006, but the resulting Constituent Assembly spent four years trying to write a constitution without success. Paralysis ensued until elections in November 2013 led to the unexpected rout of the previously dominant Maoists. Nepal's people had already become exhausted with the political paralysis, but those feelings could turn explosive if relief and rescue efforts fail in the coming weeks, analysts said. The fear of just such an outcome could spur an intense international relief effort, as an odd collection of countries - including China, India and the United States - were already cooperating on pushing Nepal's polititians toward compromise. Másik szókincsbővítő posztot pedig ITT!